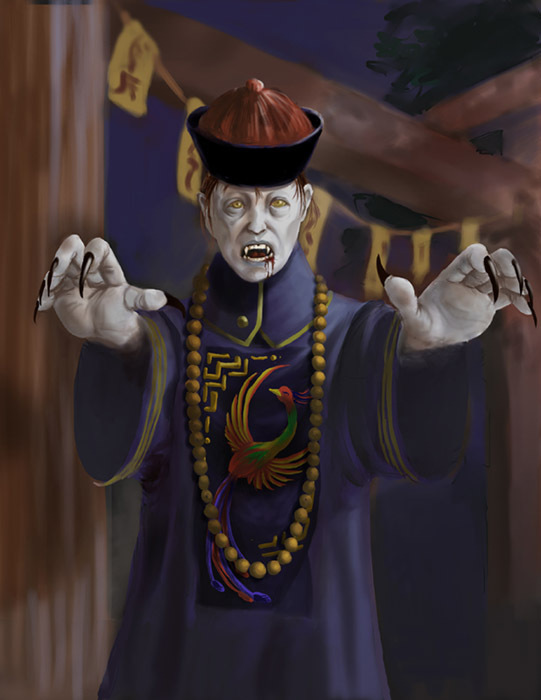 Did You Know…About the Chinese/Korean Vampire? 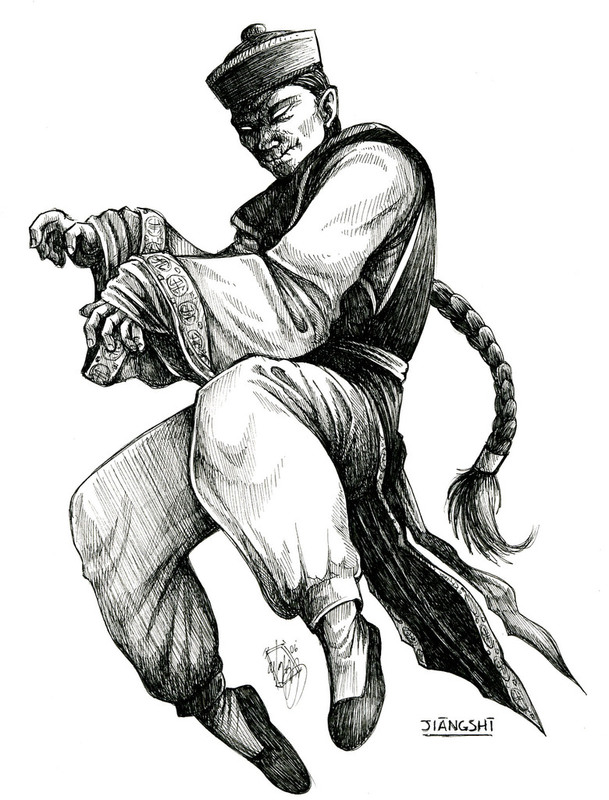 The jiang shi, pronounced Gangshi in Korean, resembles the modern version of the vampire, who rests or hides in dark places, such as a coffin or a cave and feeds on the life force of living creatures; however, it moved around by hopping with its arms outstretched because it cannot bend for the vampire’s limbs are stiff. Their appearance can range from normal, like the recently deceased, to horrific, i.e. 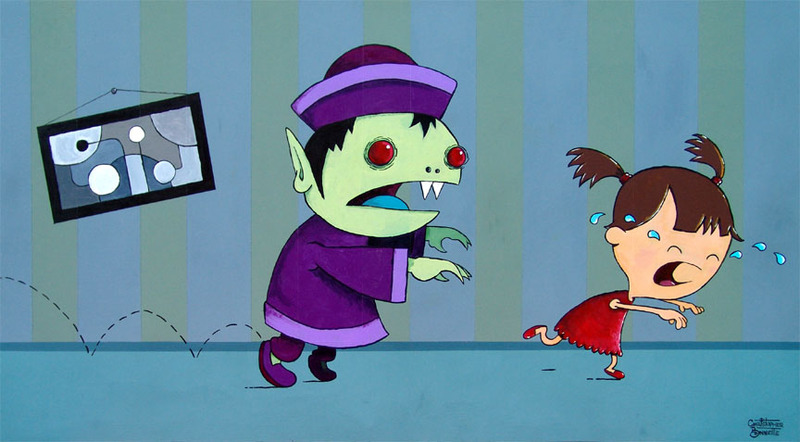 rotted flesh, rigor mortis, and various states of decay, and is usually noted by its greenish-white skin, possibly from a fungus or mold growing on the vampiric corpse. The jiang shi also have long white hair all over its head and behaves like a wild animal, or a zombie. Mirrors are often used to counter the jiang shi because they are terrified of their own reflections. Also, a peach wood branch or sword, with peach being the essence of the five elements, can be used to vanquish evil auras. The source of the jiang shi stories come from folk practices of families transporting the corpses of loved ones who died away from home, those who could not afford wagons or Taoist priests for the transport back home, so they were taught to hop on their own feet back home for a proper burial. Want to know more about the Jiang shi? Here’s my source and another link!